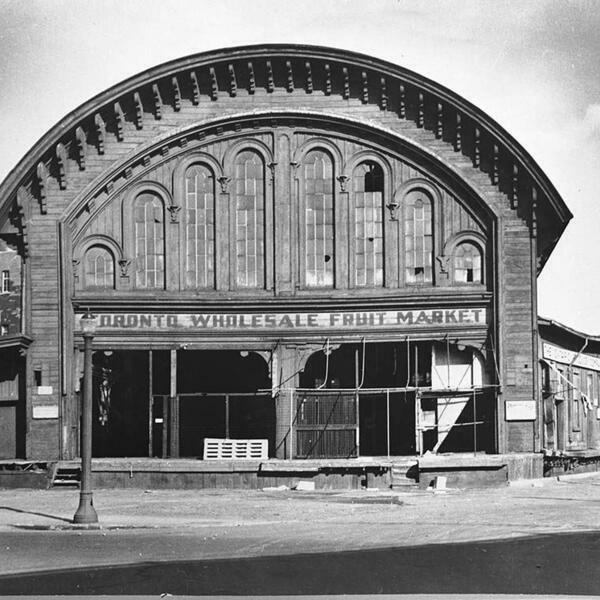 Photo:English: Toronto wholesale fruit market, formerly the Grand Trunk Railway Station, at Yonge Street and the Esplanade. Toronto, Canada. This image is available from the City of Toronto Archives, listed under the archival citation Fonds 1568, Item 538.